Hispanic Groom Marries Caucasian Bride Wedding Cake Topper, African American Groom Wedding CakeTopper, Ohio State Wedding Anniversary Gift. 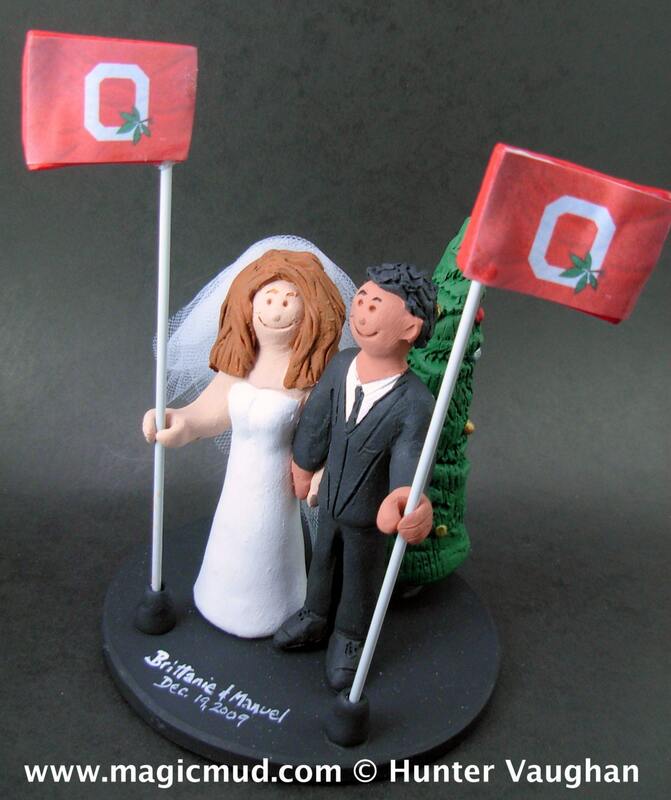 Caucasian Bride Wedding Cake Topper, Hispanic/American Wedding Anniversary Gift, Ohio State Wedding Anniversary Gift. 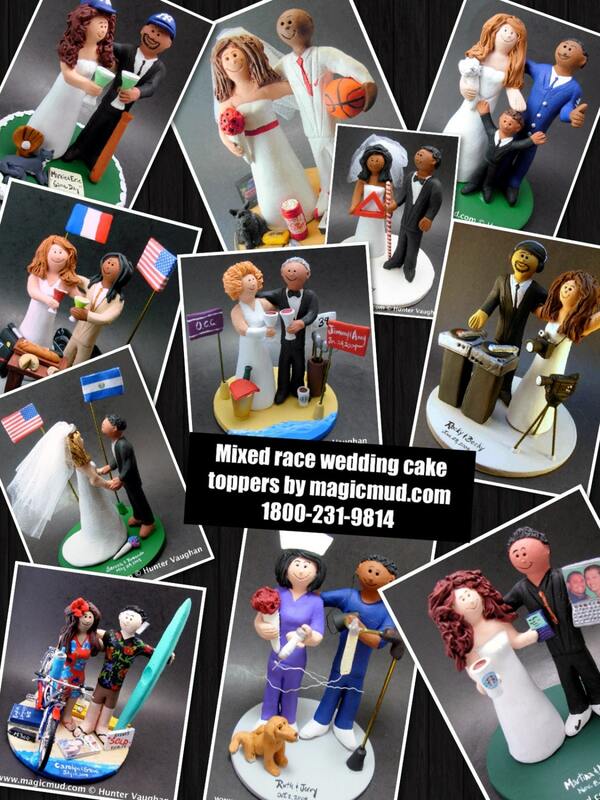 The perfect personalized wedding cake topper for the marriage of Latin/Hispanic, African American, Asian, Oriental, Caucasian, Bride or Groom, ....whoever! !, ... :-) it is our pleasure to custom create for your special day!! 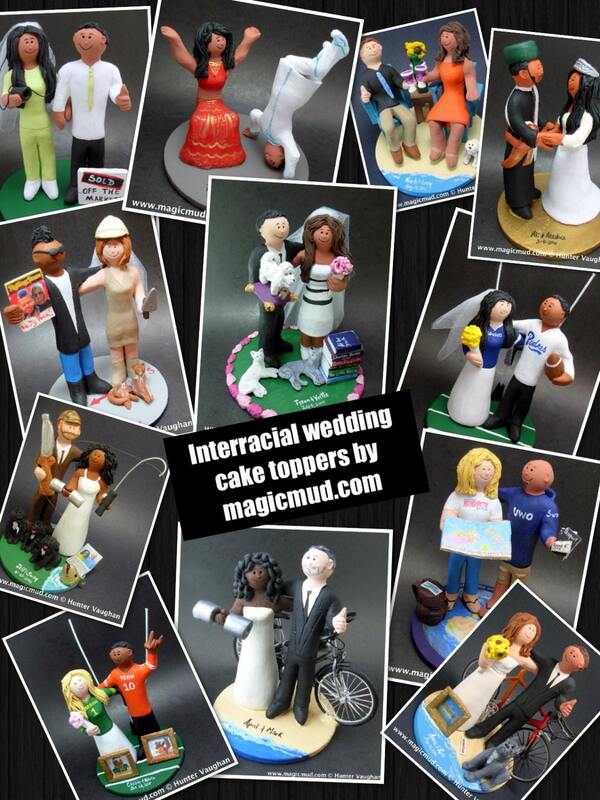 ...a fired clay Mixed Race Wedding Cake Topper custom created for you! 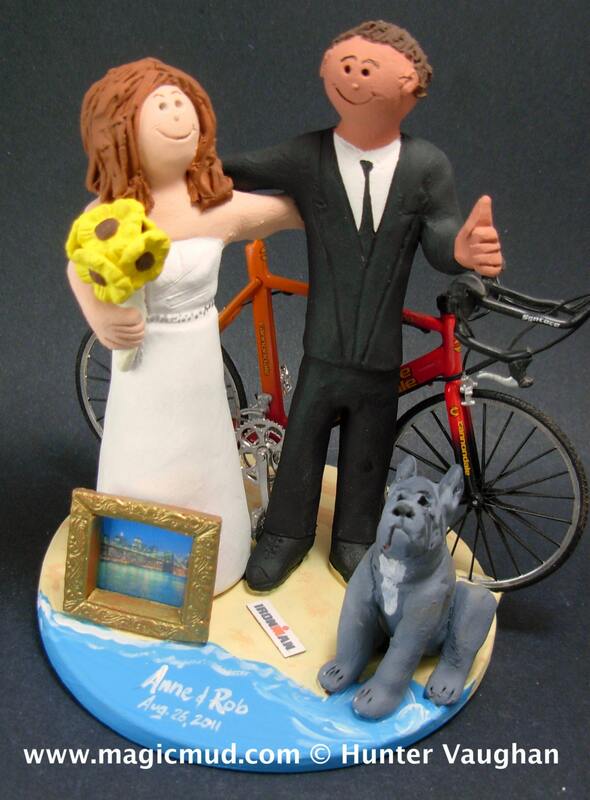 This photographed listing is but an example of what we will handmake for you....simply email or call us toll free with your own info and pictures of yourselves, and we will sculpt for you a treasured figurine for your wedding. Hunter, My cake topper is perfect! When I saw the picture I started to cry. Everyone in my office now thinks I am insane (actually all of the girls understand). You actually got it done sooner than what you originally told me. We love it so much. Thanks so much for helping make our day that much more special. 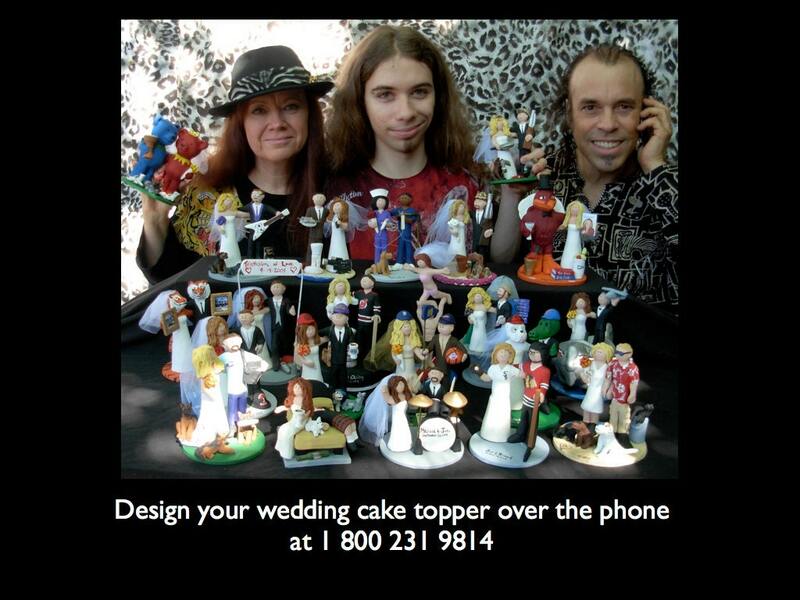 We will treasure our cake topper forever.